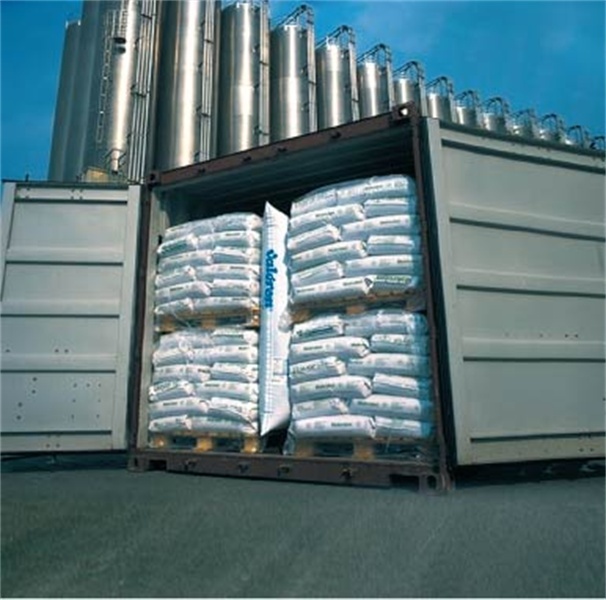 Liqui-Sorb® is a non woven PP fabric, which absorbs condensation formed in containers with fresh produce during transport. 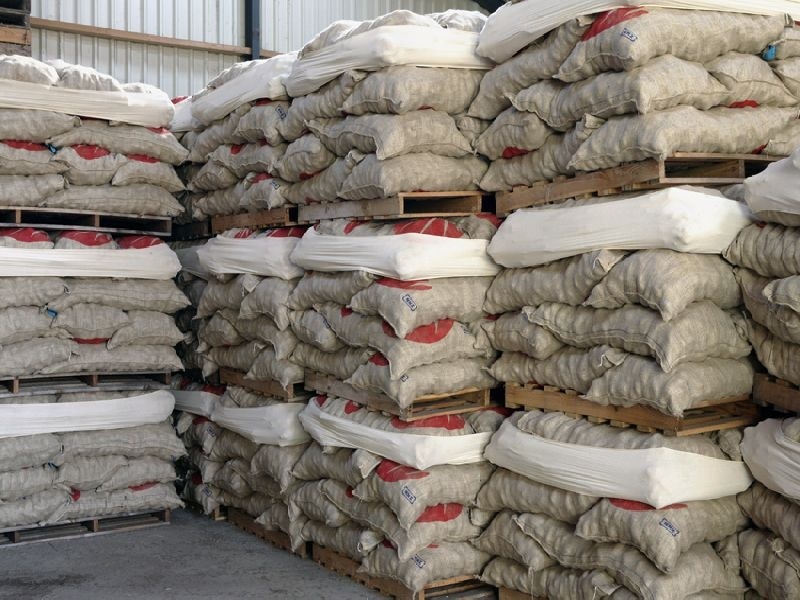 Top-Guard® is a stretch-sleeve made from unbleached cotton and developed by NNZ to keep the top layer of a pallet tightly together. 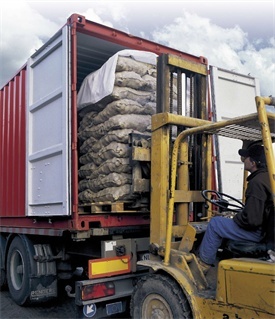 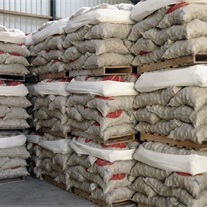 Dunnage bags are placed between the pallets to secure pallets properly. 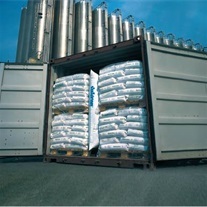 Pumping air into the bags results in a strong but flexible buffer that prevents the load from sliding. 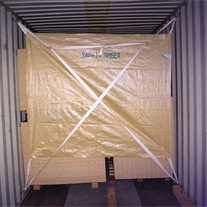 Safety sheets are excellent for preventing FIBCs/Big Bags from hanging crooked and then falling out of the container when it is opened. 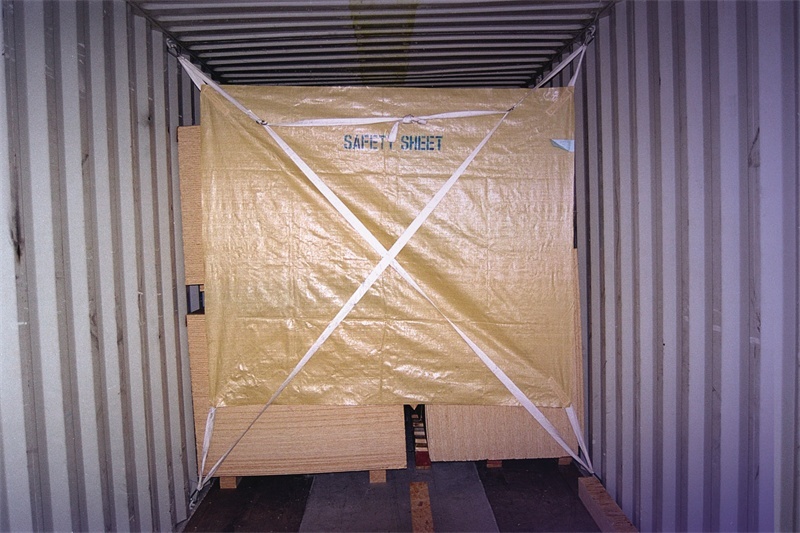 Safety sheets can be used in combination with dunnage bags.